Money management is a key component to running a successful business. No matter what size business you have, you need a business checking account that fits your specific situation. There are several important factors in picking the best checking account for your business needs. Transaction Volume: Business checking accounts may have maximum monthly transaction limits, with small fees incurred when going past that maximum. Understand what’s included in the definition of “transactions” as it differs from bank to bank. Figure out how many transactions you expect to make a month and find an account that permits at least that many transactions, allowing for your business to grow. Minimum Monthly Balance: Some business accounts are tied to a minimum monthly balance requirement instead of, or in addition to, transaction volume. If the funds in your account drop below this minimum balance, monthly fees will kick in. Choose this type of account if you are likely to keep the required minimum monthly balance in your account, or if the fees are reasonable for your needs. Large Deposit volumes: If your business accepts large numbers of checks a month, talk to your banker about the convenience of Remote Deposit Capture. If your business is cash intensive, you may incur fees for cash handling, so ask that question also. Online Access: Make sure your bank can set you up for online banking for your business. You should be able to choose the online access authorities for any employees you give account access to. Check your account frequently for fraud or identity theft, and change your passwords frequently. Importing Data to your Financial Accounting Software: If you use accounting software, like QuickBooks, ask if your bank’s online banking can import to your software. This makes your bookkeeping easier! ACH transactions: Check to see if will be able to initiate electronic transactions through the Automated Clearing House (ACH), so you can manage direct deposits for your employees, or send payments to others in this manner. This often requires a separate approval process, so talk to your banker about having this capabilitiy. Be prepared with your legal entity documents when you’re ready to open your business account. LLC’s will need the Certificate of Formation. Sole Proprietor ships will need to show that they’ve registered the trade name (DBA) with the State. Corporations will need resolutions. Having these documents ready will streamline the account opening process. You will need your Tax Identification Number (TIN) in order to open the account as well. 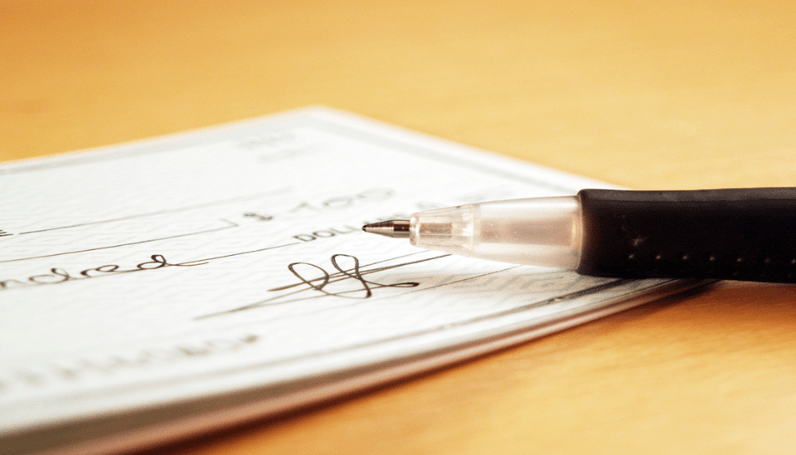 A business checking account is a necessity for any business, big or small. At Pentucket Bank we have a variety of options for your business, because we recognize that each business has unique goals, challenges and opportunities. With a responsive, professional and personalized approach to banking, our experienced business banking team can help identify and provide the solutions to help your business grow and prosper. Send us an email or give us a call today at (978) 372-7731 to find out how we can help you with your business banking, borrowing and investment needs.